I’m Senior Lead System Engineer and Database Administrator (DBA), and I work at Syniverse’s Bangalore office. In my role, I support production and development databases for multiple products at Syniverse. The primary function of our databases is to provide continuous availability of our systems and minimize any incidents that could cause disruptions, which controls the organization, storage, retrieval, security and integrity of data for many of our products and services. With my primary role focused on managing incidents and providing continuous systems availability, this month I’m working on automating the resolution of some recurring incidents and reducing the occurrence of certain types of incidents. It’s critical to keep a focus on the newest technologies so you can be prepared to integrate these technologies as well as adapt current technologies to work with the new ones. In my time so far, I would really say one of the best moments has been the opportunity to work daily with a multitalented and multicultural team that challenges me to learn. We have an environment of continuous learning with a completely supportive leaders, and the way that this innovative spirit and teamwork allow us to tackle challenges is something I really value. I can truly count on each and every one of my team members to help solve whatever challenge we may be facing and deliver the best service to our customers. The people, who are always supportive in helping you with whatever current project challenges you may be facing, knowledgeable in so many specialized areas of mobile and information systems technologies, and respectful of your life outside work and the importance of having a work-life balance. I use a Samsung Galaxy S5. My favorite apps are ones for listening to music and playing Sudoku puzzles. Except while sleeping, I always have my phone with me, so I would say about eight hours is the longest I’ve gone without using my phone. One of my passions is running a charity for aged and orphaned children in my community. I frequently visit them and provide basic necessities like food, medicine, clothing and shelter. My inspiration for this work came from my father, who always says when you earn 10 rupees, dollars or anything, you should plan to keep nine but give one to someone who needs it more than you do. These are words I try to live by. 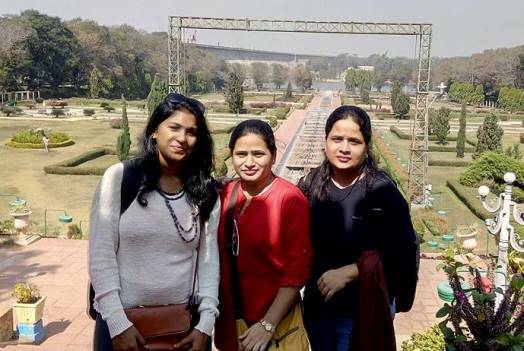 Me (right) visiting the historic city of Mysore, India, with my sister (center) and a friend. 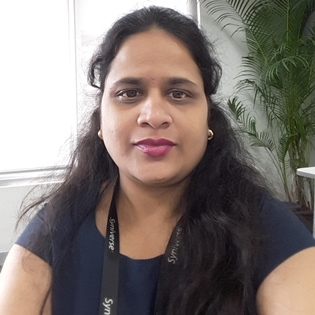 Manikumari Sundarigari is a Senior Lead System Engineer and Database Administrator and works at Syniverse's Bangalore office. Congratulations Mani ! It is my pleasure to meet people like you. Had good time in SEED program knowing each other. It’s good to know your involvement for a social cause.. I guess there are many others on the floor wanting to get involved.. So, if you are planning anything big let us know.. Good Luck!